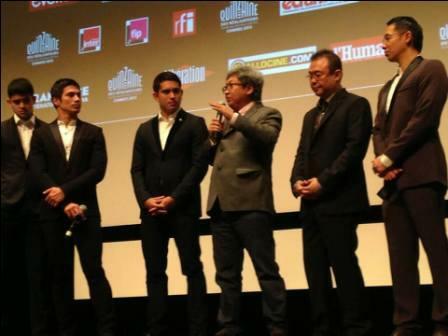 Four of the lead actors namely Gerald Anderson, Rayver Cruz, Joel Torre, and Piolo Pascual attended the prestige Cannes Film Festival for their upcoming action-suspense film "On the Job!" The movie which is held by the director Erik Matti has been picked up for distribution by Well Go USA Entertainment. "On the Job"also stars Joey Marquez, Leo Martinez, and Angel Aquino.